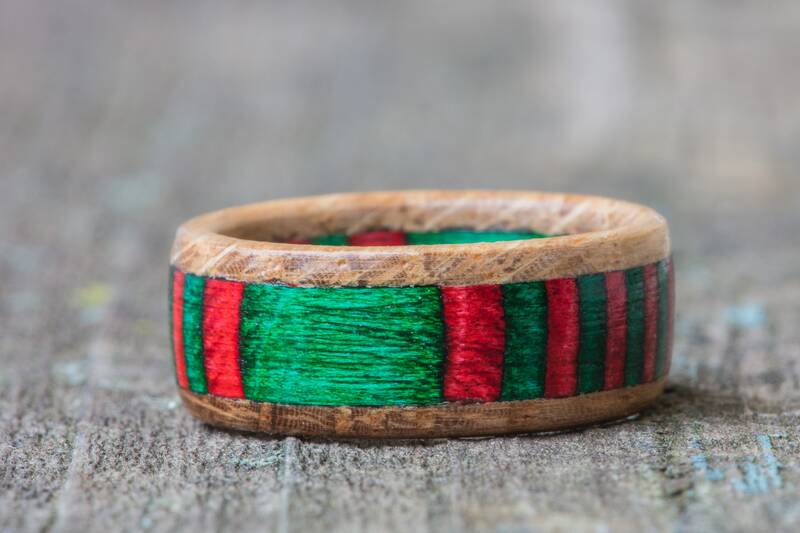 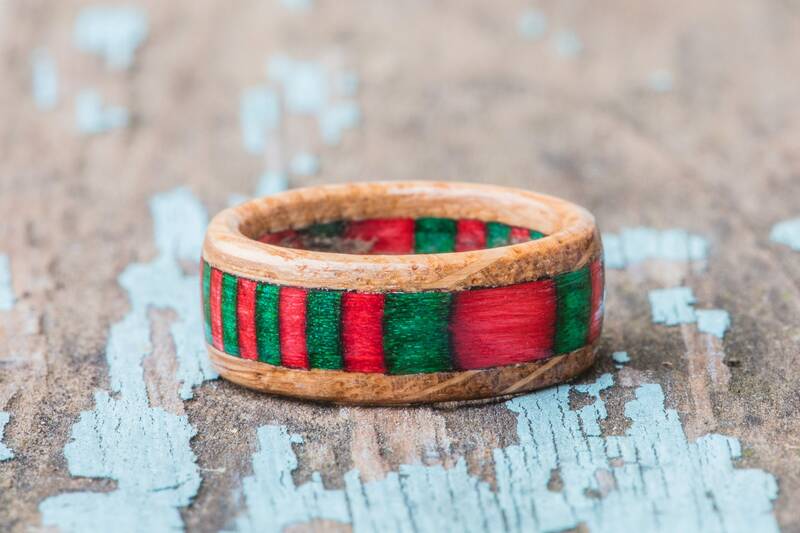 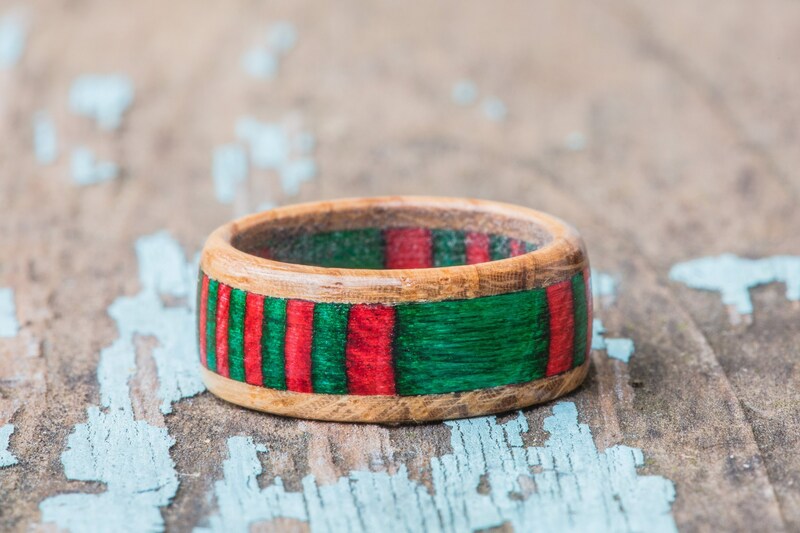 Tennessee whiskey barrel wood surrounds red and green, Christmas-themed stripes in this solid wood ring. 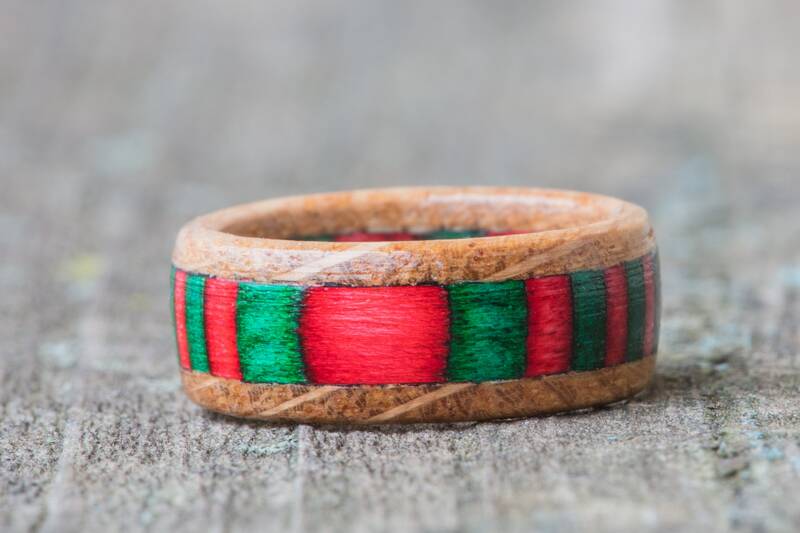 The edges of this ring are made from wood taken from a used Tennessee whiskey barrel, with a center of red and green dyed wood that make this a perfect gift for anyone who loves whiskey and can't get enough of the Christmas season. 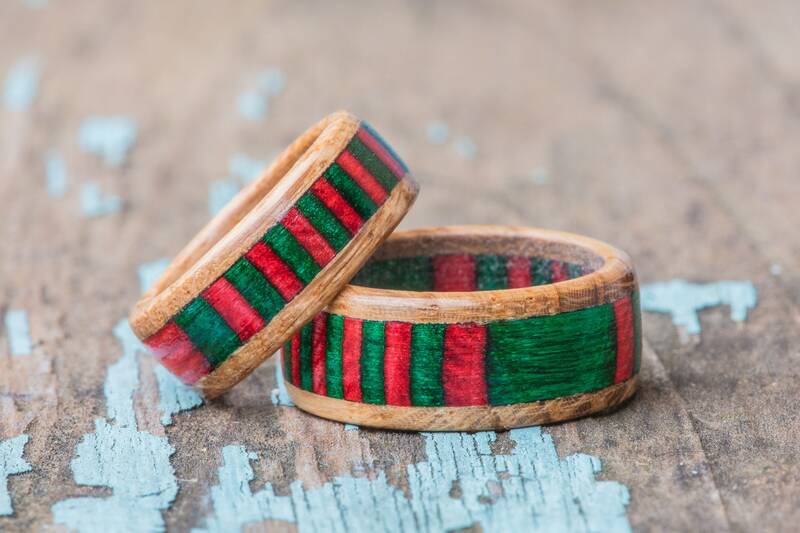 Because these rings are made of solid wood, small differences in pattern and color should be expected - each ring is unique, but will exhibit similar characteristics and coloration to the rings in the example photos.